Alex Drummond is an experienced concept artist from Sydney, Australia. He has worked both freelance and in house for a wide range of companies, on projects ranging from science fiction movies to advertising and video games, and everything in between. 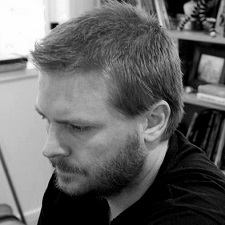 His most recent movie work has been on the blockbuster movie Thor: Ragnarok, as a concept illustrator, and prior to that as concept artist on the indie movie SFV1: The Osiris Child. Past Clients:Microsoft,Universal,Rare,Games Workshop,THQ,Marvel,Catalyst Game Labs,Big Block,Fantasy Flight Games,Double Helix and AEG.